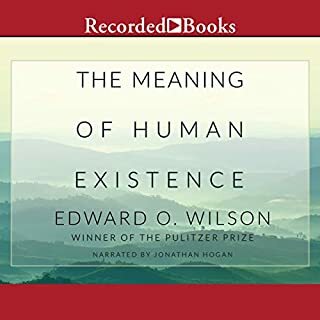 Searching for meaning in what Nietzsche once called “the rainbow colors” around the outer edges of knowledge and imagination, Edward O. Wilson bridges science and philosophy to create a 21st century treatise on human existence. Once criticized for his over-reliance on genetics, Wilson unfurls here his most expansive and advanced theories on human behavior, recognizing that, even though the human and spider evolved similarly, the poet’s sonnet is wholly different than the spider’s web. Your preference in politicians, the amount you tip your waiter - all judgments and perceptions reflect the workings of our mind on two levels: the conscious, of which we are aware, and the unconscious, which is hidden from us. The latter has long been the subject of speculation, but over the past two decades researchers have developed remarkable new tools for probing the hidden, or subliminal, workings of the mind. The result of this explosion of research is a new science of the unconscious and a sea change in our understanding of how the subliminal mind affects the way we live. 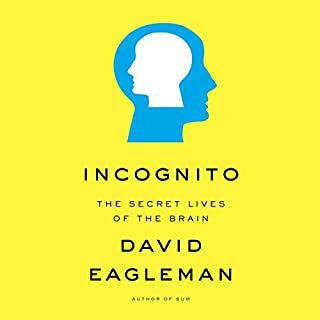 I was curious about the impact of our unconscious minds on our everyday behaviors, having come to this subject from an interest in non-verbal communication. 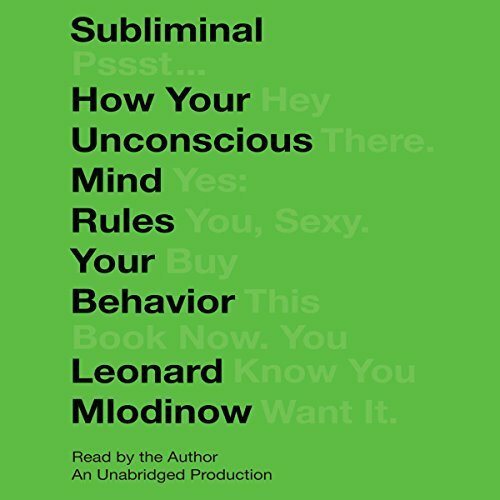 Leonard Mlodinow does, to this novice, a great job of explaining the unconscious mind. He goes on to give numerous examples, many humorous or otherwise entertaining, of the impact of the unconscious over our thinking, sometimes rationalizing, part of the mind. He also narrates his book and does an admirable job. His voice is easy to listen to, and he keeps a good pace. Subliminal was given a four star rating because I began to get bored, but that is not on Mlodinow. It is on me. I found out some of the things I wanted to know about the importance of the unconscious and kept thinking of what else I could be listening to. So many books, so little time! Fun but . . . .
Where does Subliminal rank among all the audiobooks you’ve listened to so far? 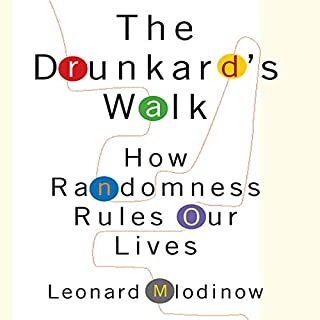 Overall, an entertaining treatment of the subject matter, but some of the anecdotes/science tidbits i had read in other books (e.g., David Eagleman's "Incognito"), and the total read was not as cohesive or wow-ing as Mlodinow's "Drunkard's Walk" (which i really enjoyed). "theory of mind" - very interesting. i look forward to learning more about it. What made the experience of listening to Subliminal the most enjoyable? ....I cannot remember much of it now (but that is probably only me.). It is the classical "get the gist of many interesting social science and psychology experiments together" and it was all really well brought together. It was interesting that all the research cited has strong links to behavioral economics, but (as far as I can remember), Kahnemann and Tversky are not mentioned, as you would expect. But this just shows how things come togeher from many angles.The author narrates it, which comes out really well, I think. What did you learn from Subliminal that you would use in your daily life? If you could sum up Subliminal in three words, what would they be? What was one of the most memorable moments of Subliminal? The part that started with the first sentence of the book and ended with the last. Which character – as performed by Leonard Mlodinow – was your favorite? Yup, hard to put down. Takes ten hours to get through . The writer is highly intelligent. We should (in this case) be happy that he smoked some weed in his first Caltech years so he could drop out and focus on social science instead, this book raises the level of this type of writing. Had Mlodinow not taken his irregular route through life he may have (predictably) taken home his Nobel prize in boring old physics, we can be happy he chose as he did (subliminal driven or not) to raise the bar of former 'trivial' and 'un-scientific' science. Hard to nail down the most memorable moment. Collectively, the moments illustrated the authors intention of showing how important the subconscious is determining most of our decisions. Individually, the moments ran on from one to the next and on to the next and on to the next. There were so many references to tests and their results that I began to lose focus. Still, I was glad I listened to it. I'm better informed on how little control I have in my conscious thought. Have you listened to any of Leonard Mlodinow’s other performances before? How does this one compare? I have not listened to any other Mlodinow's books. My conscious thought is greatly influenced by my subconscious. This is such an enjoyable listen, I highly recommend it. 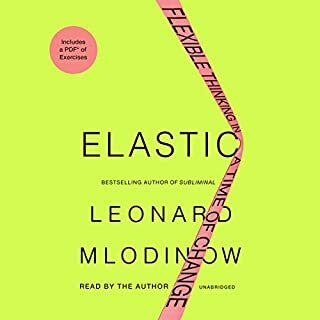 Leonard Mlodinow is a great writer and narrator. He used so many good examples I was captivated throughout. I listened to it at work while I was doing tedious tasks and it carried me through easily. If you want to understand why you do certain things, this book will help you. I'm looking forward to listening to more books by this author. Memory is faulty, subconscious controls you. We listened to this on a long car trip. The author is the narrator, and he did a great job. It sounds like a regular guy just talking to you instead of someone reading a book out loud. He has a light touch and entertains while educating. The book gives many examples of studies where people's actions and conscious decisions are controlled by their subconscious, much more than the study participants ever expected. You hear a lot of examples where the subconscious also affects memories. 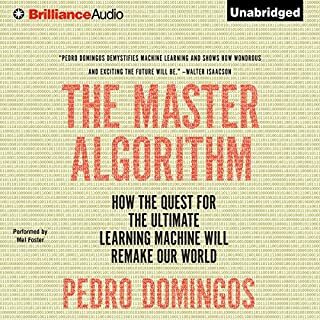 The author describes in detail how your mind has to fill in certain gaps in perception, and the subconscious controls how the gaps are filled in. There was substantial evidence that a person's perception of events or interpretation of evidence is heavily influenced by the person's position or possible gain, even when the person is offered a separate incentive to remain neutral. There are examples where people are tricked into "remembering" events that never happened. One interesting study asked students in the week after 9/11 to write down their memories of that day. A year later, they were asked to recount the memories again, and the majority of students had enhanced the drama of what happened to them on that day (how they heard about it, what they did, etc.). When presented with their own written version of events from the week of 9/11, the students denied that was what had happened. Overall, this is very enjoyable and informative 7 hours of listening. I'm definitely going to get Mlodinow's other book next. What you think--is not what you think you think. Your conscious mind--because it's the only part that speaks to you--is taking credit for a lot of the real work done in the much deeper parts of the brain. 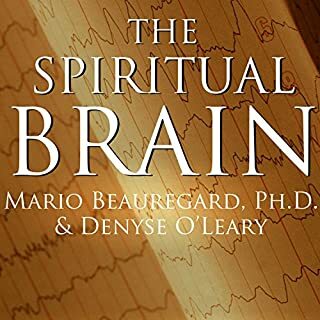 Very recent breakthrough discoveries in neuroscience have resulted in several surprisingly counter-intuitive insights into our intuition.The author turns what could have been a complicated subject, into clear explanations backed up with results of several very interesting experiments. This was a fun and fascinating journey into the the inner-space of the mind, giving the reader a peek into who 'they' really are.